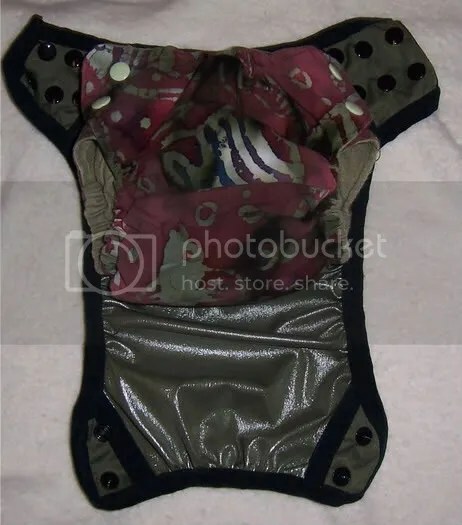 Modifying the Cloth Revolution diaper pattern is simple to do with fold-over elastic (FOE). 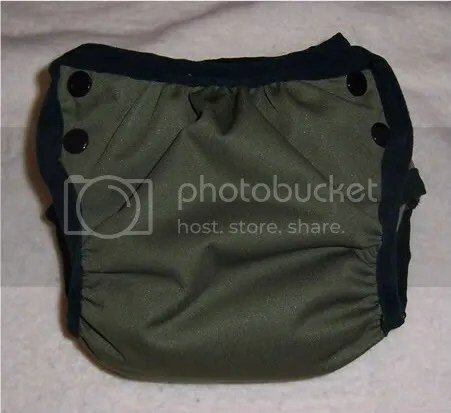 The additional space from the unused seam allowance creates just enough extra room to cover a fitted diaper, prefold or whatever absorbent layer you may be using under the cover, so there is no need to size-up. Just cut the desired size from one layer of PUL. In this example, you will see how to create a side-snapping cover. 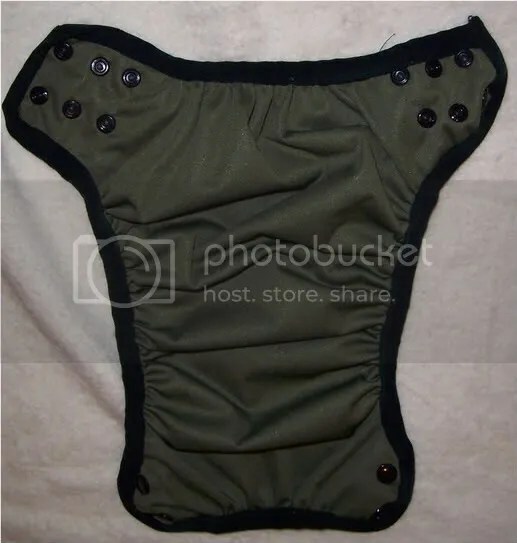 Cut a single layer of the diaper pattern from your PUL and mark the elastic placement. Use the scraps to create snap reinforcement panels for the wings. 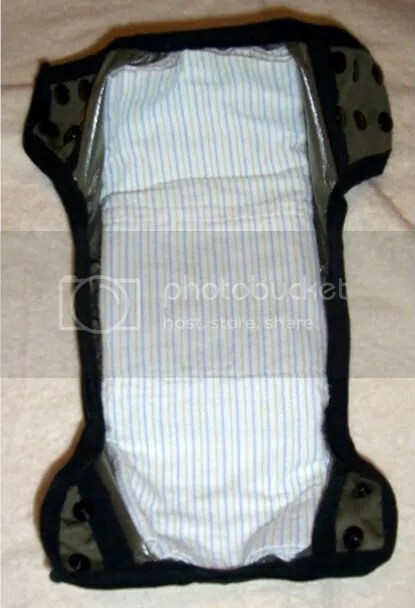 This will prevent the snaps from ripping out with heavy use, as well as protect the baby’s skin if the layer underneath does not provide full coverage. 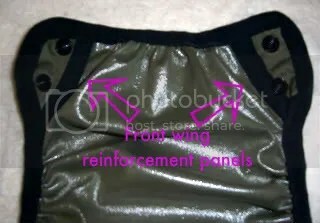 To create these, just trace the wings onto the scrap fabric and cut out. If desired cut a small piece of FOE to use as binding on the end of the reinforcement panels. This is optional since PUL won’t fray. The binding just adds a finished look. Stitch the binding to the inner edge (wide edge) of each reinforcement panel, without stretching. 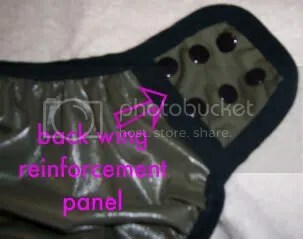 With the diaper cutout shiny side up, position the reinforcement pieces soft side up on each wing and stitch along the diaper wing perimiter to hold it in place. (do not stitch through the wing) Alternatively, just use washable glue stick to hold it in place. This part will be covered with FOE. Now choose where you want to start the FOE. 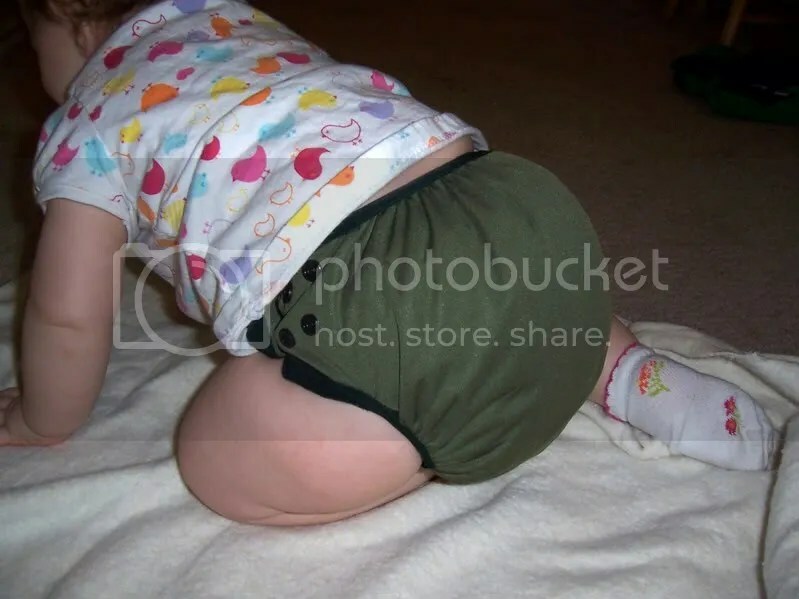 I like to begin at the on the back of the diaper, right at the corner of one wing. Fold the FOE in half along the line and sandwich the PUL in between. Begin sewing without stretching the FOE. A 3-step zig-zag stich is great to use if your machine has one but if not regular zig-zag is fine. Even a straight stitch will work since you will be stretching the FOE as you stitch the “stretch zones”. When you reach the first elastic mark, stop with your needle down and stretch the FOE toward you without stretching the PUL (this is the tricky part). Use your other hand to pull tight the FOE that is past the needle so it doesnt snap back toward you as you sew. Continue sewing slowly in the stretch zone, being careful to keep the PUL tucked in between the FOE as you go. Release the stretch when you get to the other elastic mark. Resume sewing without stretching untill you come to another stretch zone. When you make it back to your starting point, cut the FOE with a little extra peice to tuck under. Fold this part over the raw edge where you started. Now mark your snap placement and apply snaps! Great tutorial. 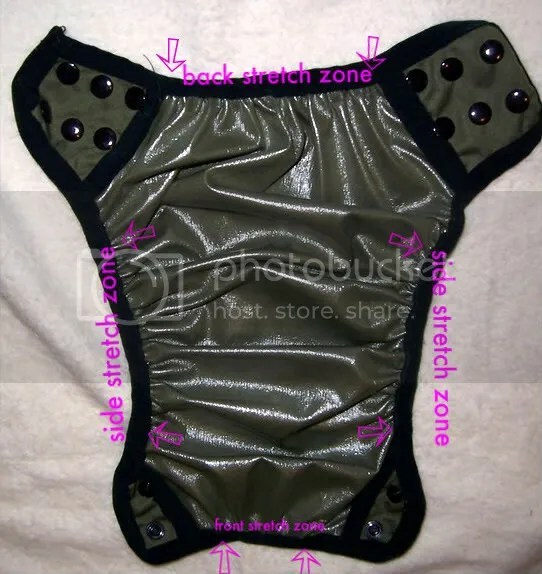 I have the CR pattern, PUL and some FOE now all I have to do is sew it together. Thanks.